A new bus service aims to help night owls and workers on the graveyard shift get home safely. 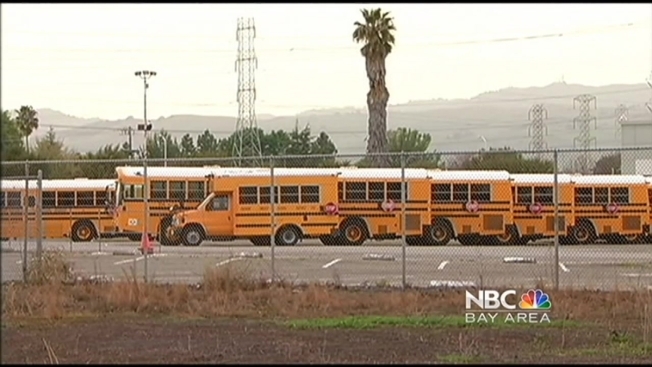 Night School offers direct rides between San Francisco's Mission District and Oakland. The service, which runs from midnight until 4 a.m., uses off-duty school buses. "One day it struck us that there are all these school buses sitting empty," said Seth Capron, one of the founders of Night School. "We saw that there was this thing that could drive a lot of people around at the same time nobody was using at night." Capron started the service with friend, Alex Kaufman. The two childhood friends approached a private school bus company who rents their buses to schools during the day and have sent a proposal to the Public Utilities Commission. Night School also has a mobile app to let passengers know when the next bus is coming. Passengers will be able to use the service based on a subscription, which costs $13 a month. Capron and Kaufman plan to launch the service in the next few weeks. View more in Cheryl Hurd's video report above.